Volunteering abroad is not just simply one of the ways to travel abroad; it is in fact a journey that’ll change you in many ways. When you decide to volunteer abroad, you must realize that it is an effort you are going to put in to bring about a positive change in the society. Hence, it becomes a matter of great importance to understand that you, as a true volunteer, will be having certain expectations and make sure that you will adhere to the rules in order to make your sojourn a great success. If you are thinking that this is a rock solid task, then relax, it is not that hard after all. 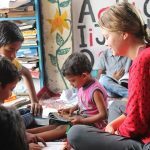 Over the last 11 years, Volunteering India has hosted more than 4500 volunteers and here are 4 traits of a successful volunteer. Your primary objective, for which you left your home and traveled for miles, is to work for a meaningful volunteering project in India & this is something you must never forget. Be dedicated towards your project. Certainly, there are timelines attached with each program, but if conditions arise, take those extra steps ahead and work overtime. Do not shy away from any kind of task/work. Communicate with people as much as you can. Know that your ultimate aim is to make a difference and spread happiness. Do you know what is common between Michael Faraday, Albert Einstein, and Isaac Newton? Yes! All three of them are renowned physicists of their time. But the fact that made them renowned is that all three of them thought out of the box! Innovation is the key to success. And that is exactly what a volunteer is expected to do while volunteering abroad. It depends on a volunteer as to how they can turn even a boring class into an interesting one. The mantra should be – ‘Think differently’! For example, while teaching Maths to the kids, you can carry out some activity-based learning method, that’ll not only teach them the lesson, but it’ll also keep them intrigued. Volunteering is a teamwork which involves not one but an entire batch of volunteers from all corners of the world as well as several other in-house staff of the project. As a volunteer, you must always be polite and respectful towards the fellow volunteers, the staff members, the local coordinators of Volunteering India, and anyone else who is either directly or indirectly involved in the project. Try to mingle and communicate with everyone in the group irrespective of their nationality or gender. The more you’ll be free with others, it’ll be good for you to work easily and seek out for help whenever in need. All good deeds done are bound by a certain set of rules, religiously following which makes them successful; the same goes for volunteering abroad. When you choose to be a part of any program, you must abide by the rules and regulations applied to the project. This includes a lot of things, like smoking/drinking/abusing others in and around the project placement area, skipping a day of work to hang out, moving out of the volunteer house for whatever work without informing the local coordinator, etc. Since we ensure your safety and security in the country, it is quite general that we’ll also expect some sort of basic cooperation from your side. It is true that volunteer work comes with a lot of responsibility and utter seriousness. But if one can see the joy and happiness behind these responsibilities, and follows them respectfully, then making your sojourn a successful journey will be absolutely a cakewalk! 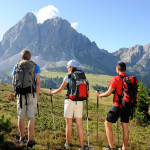 Moreover, you’ll get to make some great friends for life and widen your social network. So, just remember to follow these points for your next volunteering stint in India and have a great time. To book your spot with Volunteering India or to know more about various programs, get in touch with us. Simply drop us a mail at [email protected] and our Program Advisors will get back to you! 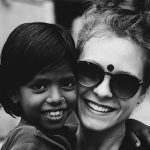 How About A Volunteering Trip To India During Winter Break 2018?